Lebanon - Lebanese Army Commander, General Joseph Aoun, on Tuesday presided over the meeting of the high-level steering committee of the US-British Assistance Program for the protection of the Lebanese land borders, at Riyak airbase, in presence of US Ambassador to Lebanon, Elizabeth Richard, and UK Ambassador to Lebanon, Hugo Shorter, along with members of the joint work team. The meeting highlighted the importance of the assistance provided by both countries during previous stages, and the subsequent actions to operationalize the task of controlling the eastern and northern borders in Lebanon. 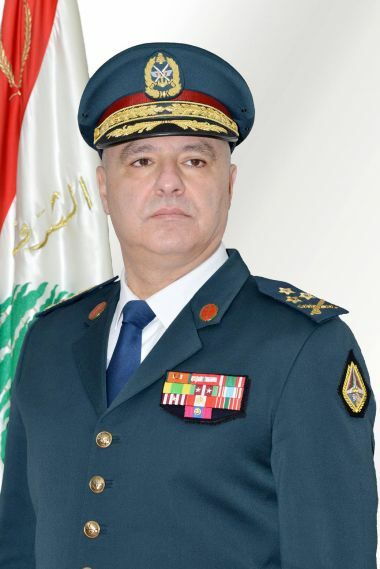 Richard and Shorter lauded the performance of military units deployed along the border and in the interior and confirmed continued reinforcement of the army's capabilities to carry out its tasks with utmost readiness, especially with regard to controlling the eastern and northern borders after the expulsion of terrorist organizations. "The establishment of the Land Border Training Center, funded by the United Kingdom, is an essential step to get military officers fully prepared to carry out duties assigned to them in bordering regiments," he said. He also thanked the US and British governments for their "great and continued efforts supporting the Lebanese army to carry out its security and defense duties in various Lebanese territories."